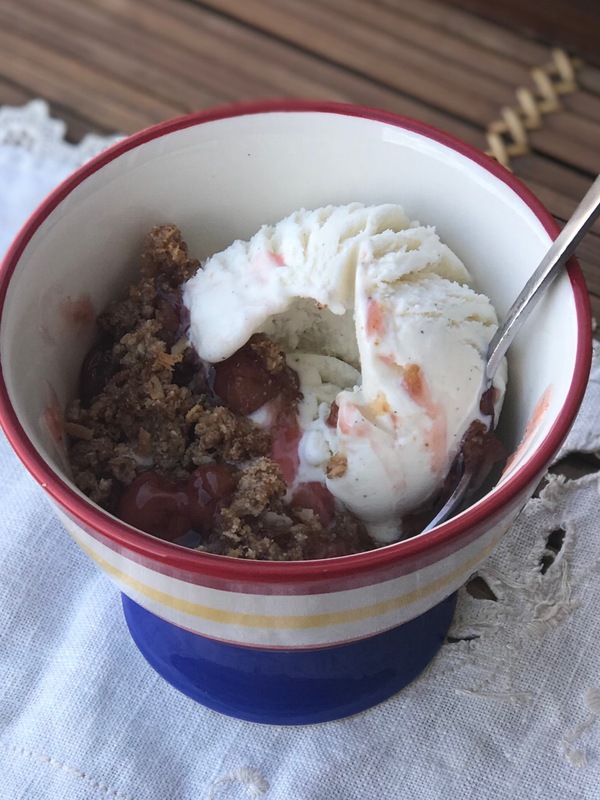 Cherry Crisp Cups are an easy and simple dessert using canned cherry pie filling. 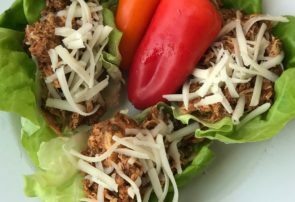 These perfectly portioned, gluten free cups are perfect to serve a crowd! 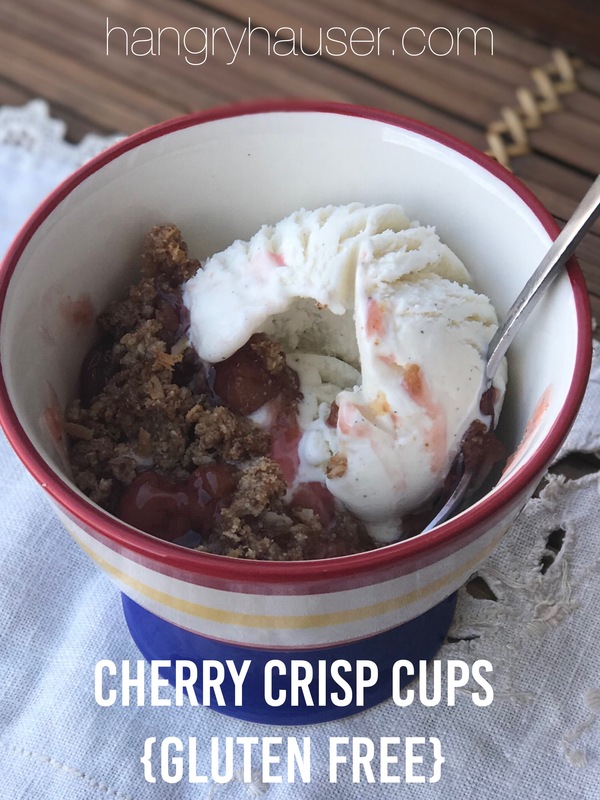 My husband loves cherry desserts and I love perfectly portioned desserts, so I married the two and came up with these cherry cups! They are seriously delicious and if portion control is an issue for you (just me?!) this helps solve that problems, as long as you don’t go back for seconds. 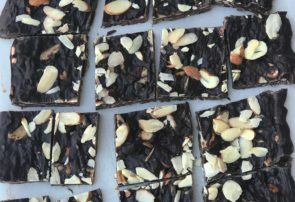 This dessert comes together so quickly and could not be easier to make. 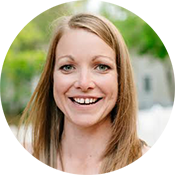 If you’re strapped for time or just want a quick and easy way to please a crowd, this is it! To start, line a muffin sheet with 12 silicone liners. Next, evenly divide the cherry pie filling among the 12 cups. 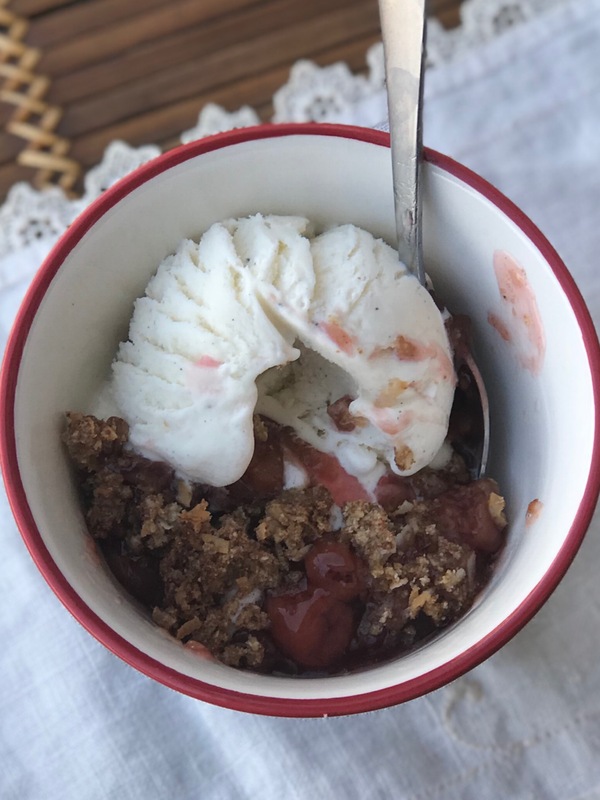 While any kind of cherry pie filling will work, I do recommend taking a look at the ingredient list and picking one without food dyes (I used the Duncan Hines Simply Cherry Pie Filling & Topping). 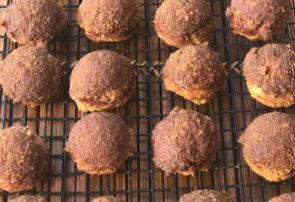 In a small mixing bowl, combine melted butter, almond flour, coconut sugar, unsweetened shredded coconut flakes, baking powder, salt & cinnamon. 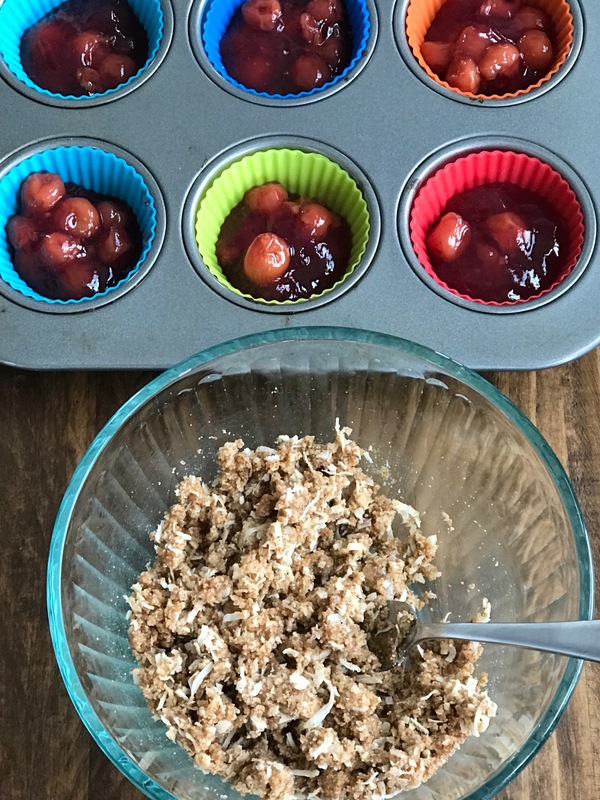 Top each cherry cup with about 1 tbsp of coconut mixture. 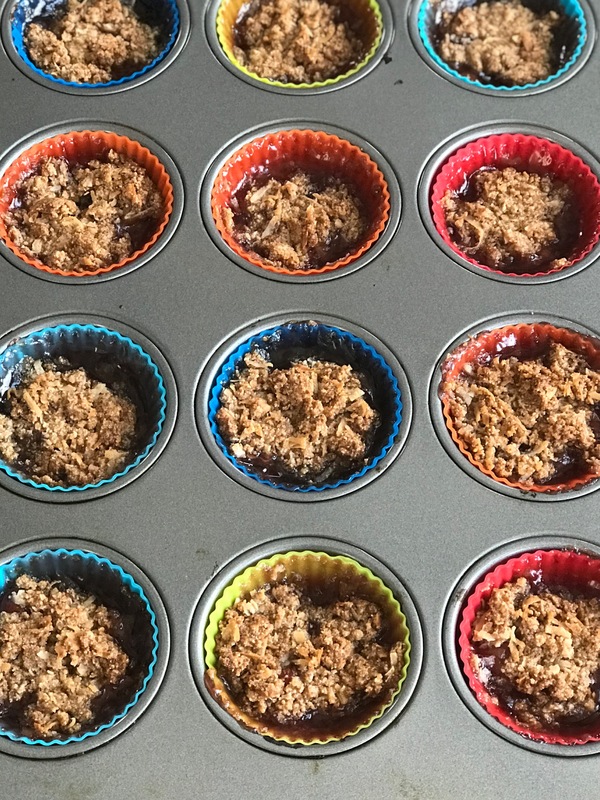 Bake Cherry Crisp Cups at 350 degrees for 20 minutes and then turn oven to broil and broil for 2 minutes till golden brown and bubbly. Serve warm with vanilla ice cream! 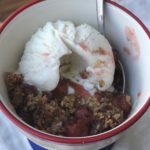 For additional gluten free crisps, try my favorite Easy Apple Crisp. 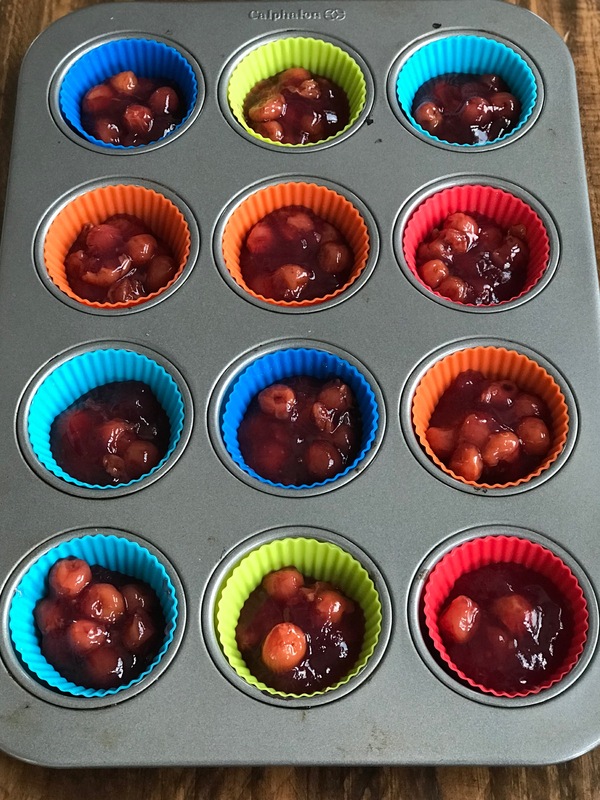 Line a muffin tin with 12 silicone liners. Divide cherry pie filling evenly among liners. In a small mixing bowl, combine butter, almond flour, coconut sugar, coconut flakes, baking powder, salt & cinnamon. 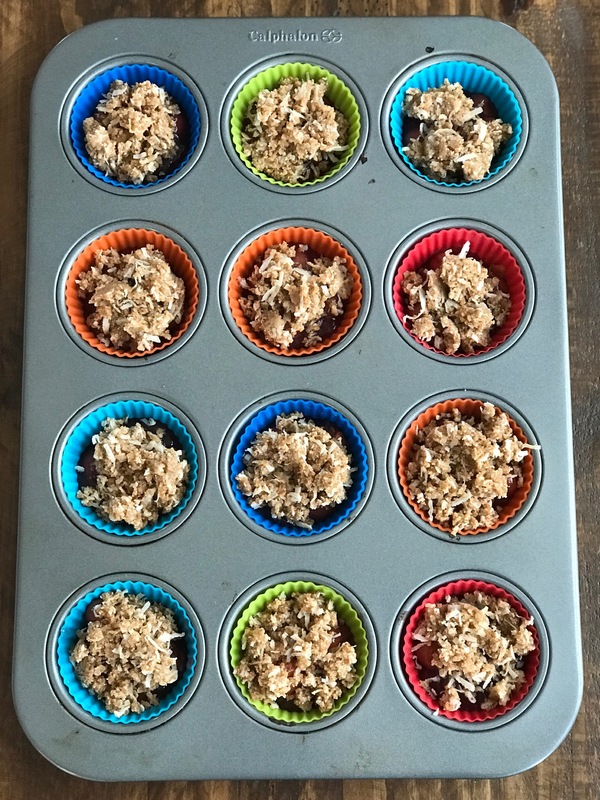 Top cherry cups with 1 tbsp of coconut mixture. Bake at 350 degrees for 20 minutes, then broil for 2 minutes till golden brown and bubbly.